North Jersey FCUs Lourdes Cortez is the newest member of the Community Depository Institutions Advisory Council. 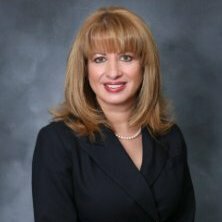 The Federal Reserve appointed Lourdes Cortez, president/CEO for the $223 million, Totowa, N.J.-based North Jersey Federal Credit Union, to serve on the Community Depository Institutions Advisory Council. Cortez was chosen from 182 credit unions in New Jersey. The prestigious honor recognizes Cortez’s 30-plus years as a credit union executive and her wealth of experience.